Shopify is your total e-commerce solution package. What is the difference between regular online shops and Shopify? What are the benefits of Shopify as your best choice for online shops? Shopify was founded in 2004 by 3 guys after attempting to open an online store called Snowdevil, an online shop for snowboarding equipment. After experiencing the existing e-commerce products on the market were not offering the features and convenience they expected, the team decided to develop their own online shopping platform. More than 10 years later it has become the standard choice for many small and larger e-commerce projects. Most e-commerce shops are built on a shared or dedicated server, with customized themes and layouts. This requires a team of developers and graphic designers with experience in order to come to a good looking professional and functional result. Shopify takes out the need of a development team, but with a large community of developers and users to share experience, or sell applications. Shopify enables anyone to start an online shop in just a few easy steps, resulting in a professional and fully functional e-commerce website. Shopify offers a complete e-commerce solution to start your own online shop. From product management to online payments and shipping, it all can be handled within the Shopify platform. This includes the way you engage with your customers, keeping them updated by mail on the status of placed orders. Or build an audience with returning customers that sign up to read your weekly news letters with new offers. Originated from Open Source framework Ruby on Rails, Shopify allowed and invited developers to create applications for Shopify online stores by launching an API platform and the Shopify App Store. This enables developers to sell their applications, and offers everyone more applications to integrate in projects. This diversity is one of the main reasons why Shopify is a very good choice when you decided to start your own online shop. It doesn’t matter if you start small or already established a larger online business. With Shopify you can build and customize your online shop to any shape and requirements along while you grow and expand your online business. There are plenty of applications and templates available to build your own e-commerce project in no time. It used to be a very costly investment to start an online shop. With Shopify you have access to the most useful applications without any integration issues, and at the lowest prices on the market. It is easy and fast to setup a new online shop. 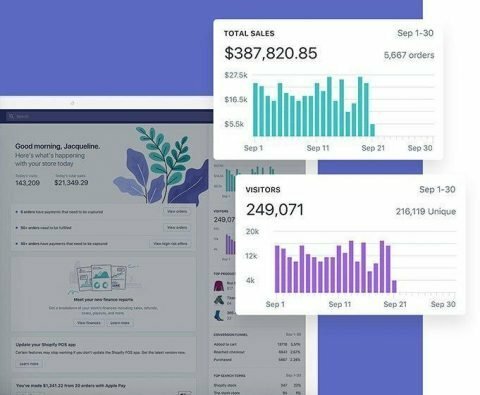 Anyone with average computer skills can build the basics of a new online shop within a day. But also experienced online entrepreneurs and developers will be pleased by the possibilities of integrating countless applications available on the Shopify App Store. Even activating a POS system for the cashier in a real shop is possible. When you register a new account with Shopify, hosting the site is included. 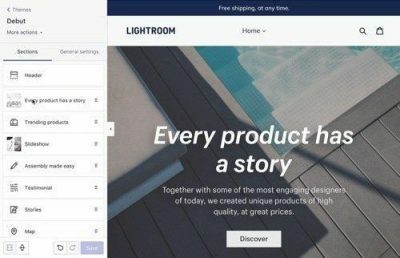 This saves a lot of time in the setup of your online shop, and it has been proven through the years that accessibility and page speed on online shops hosted by Shopify is stable around the globe. So you don’t need to register for any hosting to start your online shop. You can also integrate your own domain name, no matter where you registered the domain. Shopify has a very easy tool to automate the process of adding your own domain name to your new Shopify shop. 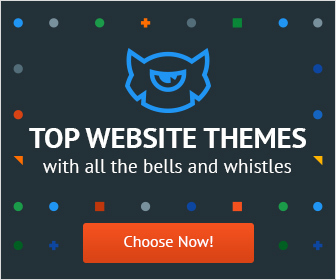 Besides a great selection of free Shopify templates, you can find a huge variation of themes on the Shopify App Store. This saves a lot of time from the design part of the project, while allowing you the customization you need. Depending the applications you select and require, Shopify handles every step from marketing and payments, to secure checkout and shipping. This takes a lot of development weight of your shoulders, so you can concentrate on your business. A many times forgotten to mention advantage from Shopify is that you avoid the hassle from updating your site and the applications. People who have worked with WordPress sites will remember that this is a recurring issue with sites made on that platform. Although our experience with WordPress sites is very good on all levels, it is worth to mention that Shopify takes this responsibility out of your hands. A lot of security issues regarding server attacks and virus management are handled by Shopify too. So it does really allow you to concentrate on your business, rather than requiring you or your team to be developers. 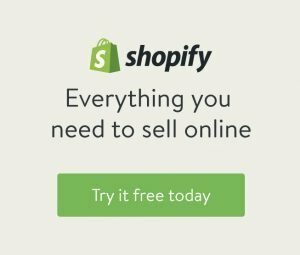 When you register a new account on Shopify, you can try for free before you start paying. It gives you some time to get used about the standard settings and available templates. Play around adding products and shipping terms, do some testing, and your site will soon be ready to be launched. You can add your own domain name, or decide to work on the included Shopify domain. Your mail traffic can be handled by Shopify too, completing the services included in the total package of an e-commerce solution that really takes care of your online business! Read about a YouTube tool that can boost your Youtube channel marketing here.